Convinced that it is possible to build a different future, towards the end of 2014 they announced that all Colombians could, from their day-to-day, tell what it was that they were doing to transform realities and generate opportunities they did not have. The idea was that they showed these initiatives on video. They toured the country from south to north and east to west inviting the civil society to participate. To everyone’s surprise, in 2015 they received 400 initiatives from all corners of the country, of Colombians who where doing great things and impacting the development of their communities with little resources. With the support of the Embassy of Sweden, the United States Agency for International Development USAID, the United Nations Development Programme PNUD, Royal Films, Grupo Éxito and Fortox S.A, the best initiatives were awarded prizes in the form of seed capital for their strengthening. 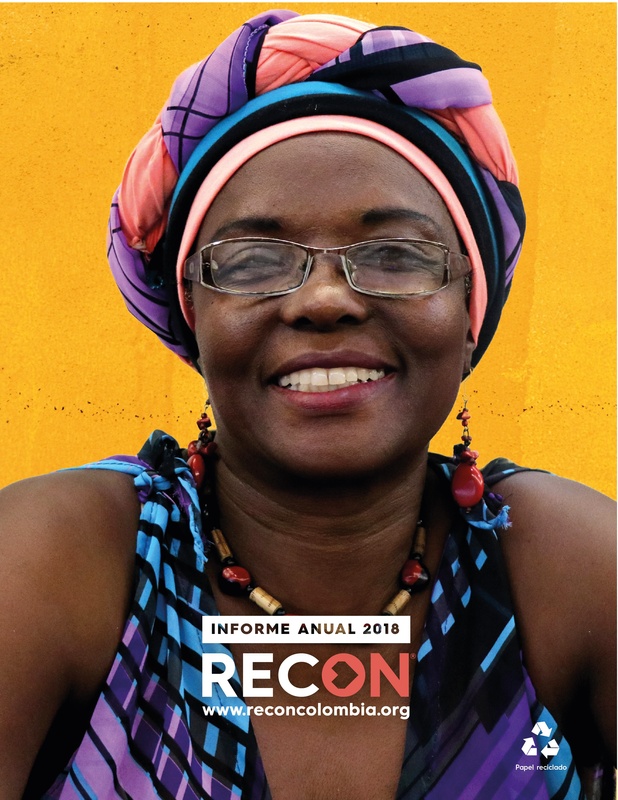 RECON made it clear that in Colombia there are more people who are doing good and incredible things than there are who are trying to do harm, that many dream with a different future and, from their day-to-day experience, try to creatively innovate and transform reality. Thus we realized that it was necessary to continue and launched this call-up again in 2016. Thus RECON called all Colombians, this time surpassing the 500 initiatives and awarding the best with seed capital. With over 900 initiatives identified throughout the territory we decided to go a step further, and in 2017 became a non-profit organization with a territorial focus and a gender and ethnical perspective, to continue identifying all initiatives and working towards their promotion, support and strengthening. Now, we have a great community which connects leaders of these initiatives with other entrepreneurs, investors and with agencies of the State, international organisms, sponsors and philanthropists. Likewise, we went on to launch the third RECON call-up, at the end of 2017, to award the best initiatives. We surpassed expectations receiving over 1500 initiatives, of which 800 fulfilled the participation requirements and were thus habilitated. We selected the best 60, 10 per category, published them and Colombians had the chance to recognize and vote for their favourites. With over 170,000 votes the country chose 18 finalists, 3 per category and finally a qualification jury defined the 6 winners, who were awarded seed capital and training courses for the technical strengthening of their capabilities. Currently we are the largest community of social entrepreneurs in the country, with over 2000 initiatives identified. We accompany and strengthen them so that in the long run they reach their sustainability and contribute to make them sustainable through training, as well as making them visible and profitable. Furthermore, we lead positioning of social entrepreneurship at the national level, we have established this topic in the public agenda, looking to generate structural changes in norms, regulation and legislation which may allow entrepreneurs to have an environment which allows them to succeed, exempt from commercial taxes or with preferential rates. Likewise, we have the first platform of collective funding in Colombia, www.reconfunding.org so that social entrepreneurs look for financing resources via donations. Today, RECON has the support of Sweden, the United Nations Development Programme PNUD, EL TIEMPO editorial house, the human rights program of the Embassy of the United States in Colombia, Chemonics, Royal Films, El País, Fortox.